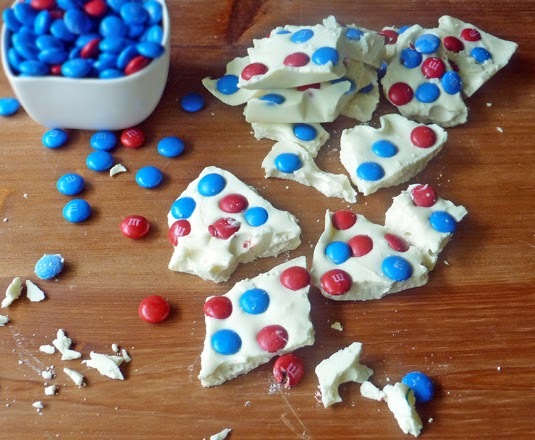 Red White and Blue Bark is quick and easy to make with just two ingredients. This bark candy makes a fun treat for everyone and is perfect for the upcoming 4th of July holiday! My good friend, Michele, from Flavor Mosaic asked me to contribute a recipe to her blog this week, and I could not say no! I love her blog! I've known Michele for about a year now, and I consider her one of my closest friends even though we have never met in person! It's true! We speak daily, and I absolutely adore her and cherish her friendship! Michele's blog takes you on a gorgeous journey of creative recipes full of flavor! Her pictures will get your mouth watering for sure! I have personally tried her Buffalo Chicken Jalapeno Popper Pizza and Oh! My! Goodness! With a perfect combination of flavors, that pizza is a real winner! I highly recommend giving it a try! When Michele asked me to contribute a recipe, I was honored and jumped at the opportunity to share one of my favorite sweet treats - Bark Candy! This bark candy recipe is a quick and easy way to have a patriotic snack on hand this weekend to help cheer on Team USA in the World Cup!! How exciting was the win against Ghana?!! Oh my goodness - that was edge of your seat stuff right there!! GO USA!! The kids will have fun making this patriotic candy, and parents will love how simple it is to make and clean up!! Separating the candies is a great activity for the little ones too! It aids in developing hand-eye coordination, as well as encouraging the kids to focus! It is a fun activity that gives them a sense of accomplishment, and also saves us from having to do it!! It's a win-win for sure! 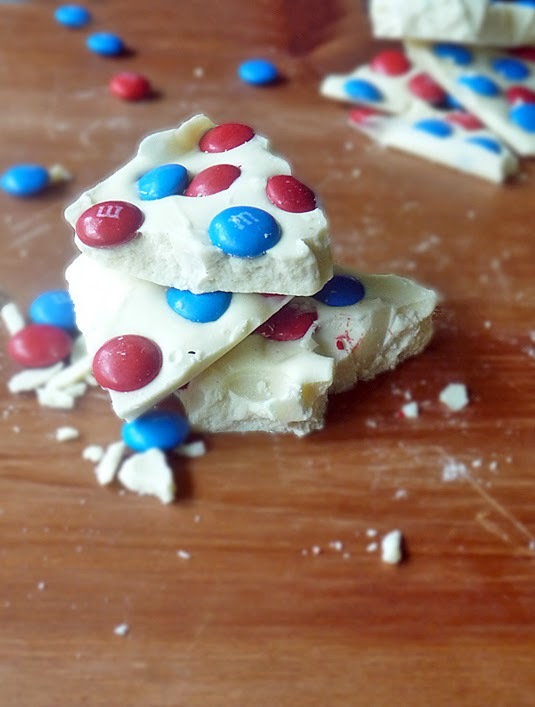 Pop on over to Michele's blog to get the recipe for this Red White and Blue Bark, and be sure to check out her gorgeous pictures and yummy recipes. No doubt you'll find several to put on your to-do list!! It's so festive! 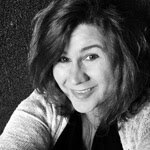 I love Michele's blog too! What a fun and colorful treat! How can life not taste good with something like this?! Great job with this post! LOVE this! So festive for the 4th! Love this - what an awesome treat! I need to try this. Pinning! If you have a free moment, I would love it if you would link it up with us at Foodie Fridays!! Thanks for guest posting Marion!